The jihadist group ISIS claims it can transport a nuclear device over the Mexican border. The news comes via the latest Islamic State propaganda magazine – yes, they actually have a magazine—and is something U.S. military officials have been warning about for quite some time. In a piece written and published in ISIS’ Dabiq magazine, the group outlined how they can use existing drug routes to smuggle the bomb in to the U.S., something that has senior intelligence officials very concerned. In March, Gen. John Kelly, former-commander of U.S. Southern Command (Southcom), warned that Islamic Terrorist organizations were actively recruiting throughout Latin America in an attempt to use trafficking organizations to infiltrate the United States via the Southern border. Last August, law enforcement confirmed that ISIS networks were working out of Juarez, Mexico, after they picked up radio chatter about potential attacks on the U.S. Border. All this comes as ISIS claims they are in position to obtain a nuclear bomb within the coming year; something India’s defense minister says will likely come from Pakistan. At a security conference in Singapore, Rao Inderjit Singh, India’s Minister of State for Defence, said he’s “afraid” that ISIS could soon gain nuclear capabilities. Are we heading towards yet another war? President Obama has been pretty adamant about not sending ground troops in to fight ISIS; but last November, he told reporters at a news conference in Brisbane, Australia that if ISIS obtains a nuclear weapon he “would order” the deployment of U.S. ground troops to combat the terror group. If they try Tijuana, go for is Daesh. All that will do is help solve the water problem and increase property values. Then there’s the traffic. They won’t make it more than 50 miles the first day. 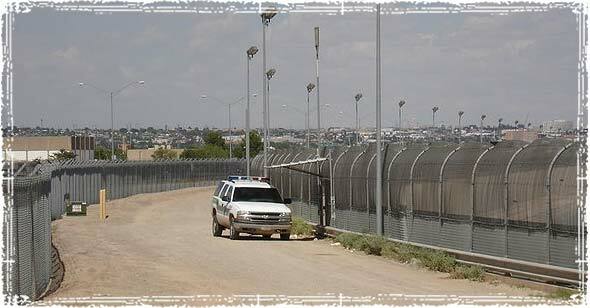 Now, they try to make it across between Juarez and Matamoros, I wish ’em luck. There’s noting but straight roads for the first 18 hours. Two Texas Rangers and 10,00 pissed off armed Texans. They ain’t got a snow-balls chance. And I have to laugh at how naive or blinded by politics you are. Have you missed the fact that millions of illegals carrying every illegal drug known to man have been streaming over the borders without a single person stopping them for decades? If we can’t stop the drugs from coming over the border how the hell do you think we are going to stop anything? Sorry but Texas has illegals and drugs coming over the border every day and I don’t see you or your Texas Rangers doing a damn thing to stop it. They could just board a plane and fly the nuke over here, go under the radar and they’re here. 2 nukes went missing from a Texas military base, so get ready for another Government False-Flag Attack. This time nuclear! Maybe that’s what Jade Helm 15 and all these other drills are about? Don’t forget the missing Soviet “suitcase nukes”, the missing nukes in Colorado and all the dirty material that was found in Mexico. I am perplexed as to how ISIS can set up camp in Mexico, in prime cartel territory, and the cartel has no concern? How are they protected from the cartels? On buying a nuke, if its that easy to just buy one, why the hell all the hoopla about Iran attempting to be able to build them? Iran could have certainly bought nukes from Pakistan if it were that easy and avoided the whole story about keeping them from building them. Have to admit, two story lines and neither make any sense. So say something does happen, they expect we should believe this? Governor Rick Perry tried to tell the US Government and the millitary command that he witnessed foreign nationals that looked hispanic (Arabs, etc.) crossing the border into America from Mexico. He was warning us of this problem when he was in office and everyone said he was nuts. The everyone I mean are the idiots in the White House who are the puppets of the Jesuit Assholes who created and funded this problem in the first place. They have been attacking America for over 200 years and now they have taken 100% control over our White House and Millitary. So the cartel are going to let this ISIS use their tunnels to come to US (Where the cartels make the most of their fortune) and let them set off a nuke. This would disrupt business for them plus every law branch and military would be all over the border and this would really mess up their supply line to the US. So I would imagine the Cartels will KILL the isis members and fight for the US if nothing more than a good business decision. Nothing goes over the border unless the cartels approve. They will never approve of such a thing because the US would then do what they should already be doing which is to lock down the border. We need to stop worrying about ISIS 6000 miles away. The cartels are worse and they are hear. I should know. One randomly shot and killed my 25 year son while sitting at a red light on Jan 31 this year. Not in Mexico. In Houston Texas.